An easy to use, manual flange facing tool that reconditions damaged raised- and flat-face flanges in the field to eliminate the need to cut and replace them has been introduced by Esco Tool of Holliston, Massachusetts. 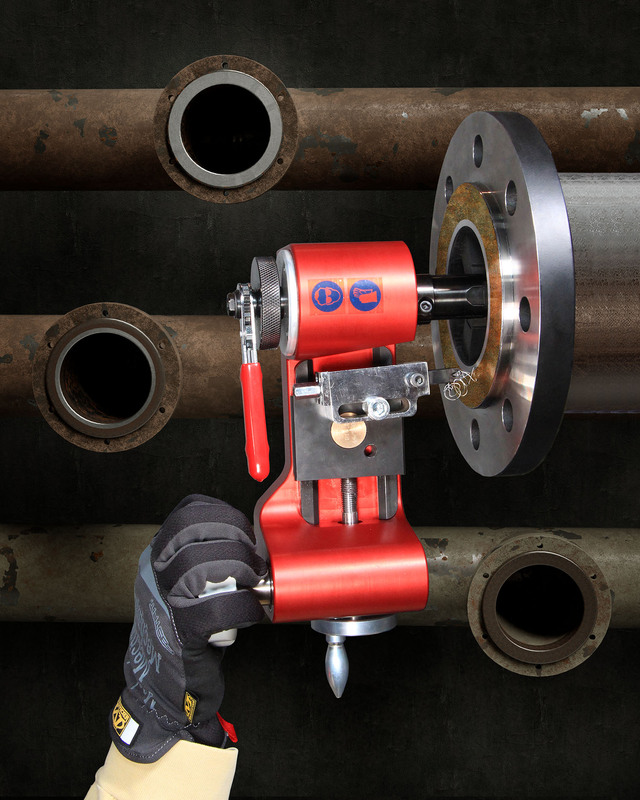 The Esco FLANGE HOG 110® is a manually operated hand tool that re-faces damaged pipe flanges with a phonographic finish on-site and eliminates the need to cut and weld new flanges. Creating a perfect stock finish that meets ASME B16.5 standards, it is offered with two interchangeable cross feeds for producing a smooth and stock finish on RF and FF gasket seats. Easy to setup and operate, the Esco FLANGE HOG 110® mounts to the flange I.D. in seconds with a clamping range of 0.9” to 10” and 0.005” alignment accuracy. It can rapidly machine flanges with a reach up to 14” O.D. and comes with straight and 90 degree tool bit holders. Cutting bits are two-sided and specially formed to cut through highly alloyed materials. The Esco FLANGE HOG 110® is priced at $5,995.00 supplied as a complete kit with all necessary resurfacing components and is available for rent.